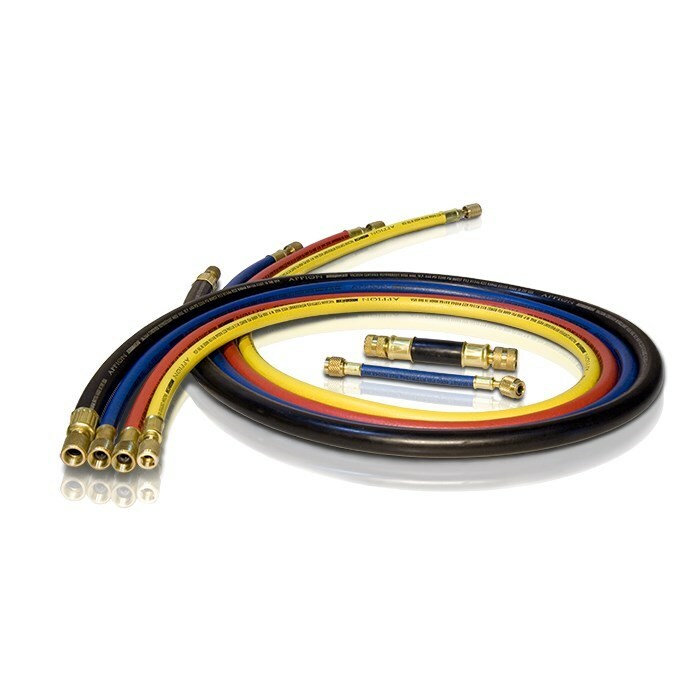 Even when restricted by 1/4" system ports, using a 3/8" or 1/2" hose greatly reduces resistance and increases potential flow. ?This is especially true during system evacuation. Just using one 1/2" hose with 1/4" fittings can result in one-tenth (1/10th) the evacuation time compared to using one 1/4" hose. ?Or look at it the other way: using one 1/4" hose can make an evacuation take?up to 10 times longer?than when using 1/2" hoses!